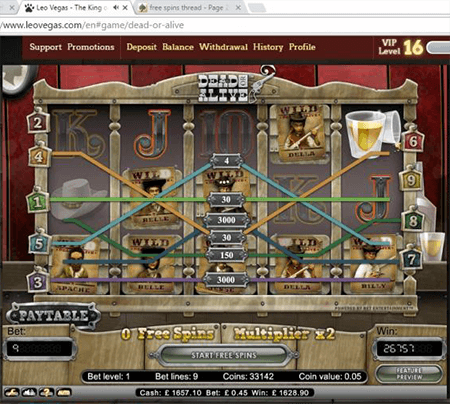 "A solid casino that is user friendly and player focused!" LeoVegas is a pretty good casino that is accredited at Casinomeister. For a quick overview – they have outstanding games provided by Microgaming, NetEntertainment, Thunderkick, Nextgen and more. They even have one of the largest selections of live games – which you really ought to try. They have no reverse time – which is awesome. What’s even more awesome is that there are virtually no withdrawal limits. And even more awesome is that they have quick payouts – most are under 24 hours. They are licensed in Malta and the UKGC. 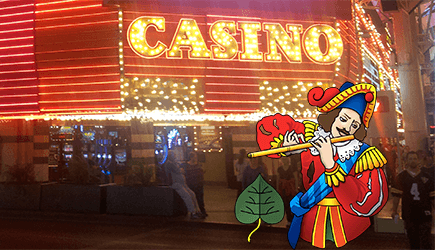 We have hardly any complaints at Casinomeister – in the past year we had only one submitted which was quickly resolved. All in all, they are a great choice for players – I would recommend them to my closest of friends. 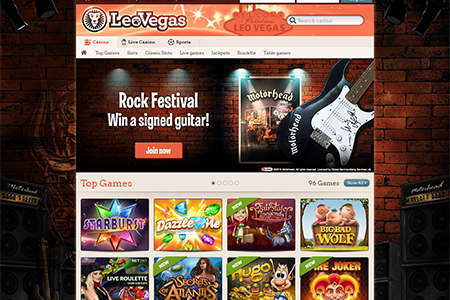 LeoVegas casino was launched in 2012 and accredited at Casinomeister in July 2014. Since this time they have been getting some great comments in the forum – many of which praise their customer service. In the past year, we have had only one complaint submitted to us via our PAB service which was quickly resolved. LeoVegas iGaming representatives are very responsive in our forum. If or when a complaint pops up in the public forum, it is taken care of swiftly – and the outcome is both succinct and fair. The software platform for LeoVegas is massive. 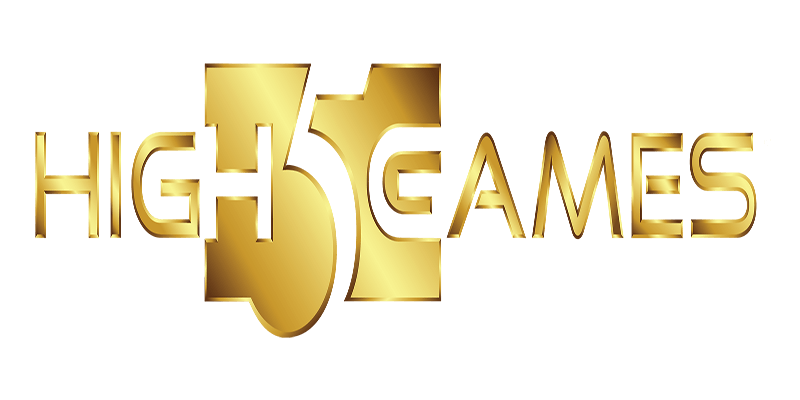 Games come from the following suppliers: Ash Gaming, Authentic Gaming, Bally Technologies, Betsoft, Big Time Gaming, Blueprint Gaming, edict egaming, ELK Studios, Evolution, Extreme Live Gaming, Felt, Genii, iGaming2go, IGT Interactive, iSoftBet, Kambi, Microgaming, Nektan, NetEnt, NextGen Gaming, NYX Gaming, Odobo, Play’n GO, Playtech, Proprietary, Push Gaming, Quickspin, Thunderkick, Williams Interactive, and Yggdrasil. So obviously, you will have no problem finding a game you’ll like – unless of course it’s video poker. There is no download client from Microgaming – the leader in Video Poker games. LeoVegas is licensed in Malta and the UK. Their customer service is in-house and is located in Malta. Signing up is relatively easy. You need to have a mobile number (who doesn’t have one by the way) for the signup process. This is how your account is verified. It’s quick and simple. Once you have set up an account, navigation is easy but searching for specific games is limited. You can search by the name of a chosen game, but if you are looking for games hosted by certain software providers, or games with certain features (9 lines, free spin bonuses, etc.) then it’s a bit daunting. The organization is primarily set up for low maintenance players. Bonuses are normally only available to users from UK, Finland, Norway, Austria, Germany, Switzerland, New Zealand and Sweden, saving any exceptions to any particular bonuses offered at the sole discretion of LeoVegas. Ratings: Their ratings are great – payouts are under 24 hours, weekend payouts, and their withdrawal limits are nearly non-existent. They are responsive in our forum to player inquires, and they do not get many complaints (as noted earlier). The bottom line is – this is an excellent casino. Well managed and player focused. It’s really hard to find anything wrong with them. Data from our Meister Minions. This is the data that is collected from real players in our forum. To become a Meister Minion, one must be an established member (full member or above), and contribute to our data collection process. + GREAT online slot list. Astonishing great variation of online slots to choose from! 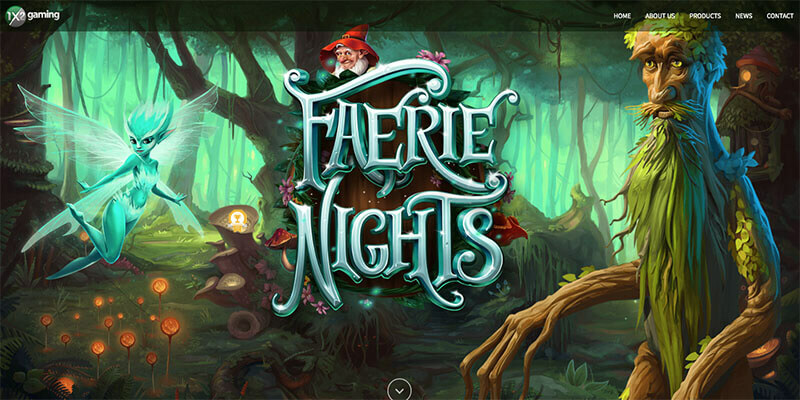 Everything from scandinavian-based Yggdrasil to the awesomely entertaining Williams Interactive slots to the more common NetEnt, Quickspin, Microgaming etc. Note: It’s actually very rare to find any GOOD casinos that offers both Yggdrasil AND Williams Interactive games (amongst other amazing games too, of course). These are 2 softwares with quite easily the most entertaining and interesting video slots you can find out there. Not only straight ahead “press spin-button” games, but games with fun as well as some exciting features and bonuses too. + Great VIP Level system. I cherish the VIP LEVEL system to LV! The higher your VIP Level is, the better bonuses you get. I am on 30+ and I do get some pretty good weekend and weekly bonuses, though there can sometimes be a week or two with NO bonuses too… Not to mention that you don’t have any fees when depositing or making a withdrawal. + Great welcome bonuses. On your first, second AND third deposit, you get a 100% bonus (150% on your first, 100% on your second and third) and then on the fourth deposit, you get a 50% bonus. That in addition to the 180 free spins on your first deposit! PS: Don’t waste your 180 spins on the crappy Vegas Party. I’d choose either Mega Fortune Dreams or Starburst. – Not many tournaments. They do have weekly single tournaments and a longer tournament, but no other variation to it, such as live tournament tables for certain games etc. – No favorites list for desktops. Yes, there is one for the mobile and yes you can have some games in the last played games list, but not your own favorites list. However, they do have a “search”-function that works nicely. – Not a complete list of the software games. Missing loads of Williams slots and some Quickspin slots. – No bonus cancellation. A lot of casinos offer to cancel the bonus you are in, but not LV. – This seem to be somewhat of a software issue, but Williams slots tend to spin for way longer time than on other casinos. So yeah, other than these fields, it’s nothing bad in the big picture to say about the Leo Vegas. Contender? I would say that Betsafe is the closest contestant out there to Leo Vegas, but in my opinion, they are too big and too overpopulated. Maybe even too overrated. They can match LV quite close, but I get a better feel with Leo Vegas. Better than with Betsafe anyway. By all means, Betsafe is a good place that offers many of the above listed things as well, and now they’ve also added Yggdrasil Gaming to their software list, so they’re even stronger in the market now. But yeah, they’re too big and mainstream now, as well as they too have their things they can improve on, of course. “It’s the place I play most at and I have complete faith in them paying me quickly and without fail. Definitely amongst the top 10 best casinos out there as an all- round establishment of excellence! Their loyalty system seems a bit redundant as it doesn’t seem to matter what level VIP status one is, the bonus offers are infrequent and pretty poor really, normally around the 50% mark, but the flipside is that this can always be revoked if the player hits big and wants to cash out early, so it’s all good. Rewarding frequent & loyal depositors is an angle they could improve on to become even better. And their CS is always polite and quick to respond even without a Live Chat facility. Games run fine, bonus can be forfeited if not used, no spirit of bonus bs seizures, withdrawals are processed within hours, they do however have withdrawal limits and the rewards? for leveling up are a mistery. LeoVegas Terms and conditions Apply. LeoVegas Casino is a great casino. They are responsive to player critiques, kudos, and criticisms. They really care about their players and can always be depended on to do the right thing. I would recommend them to my closest friends – for players.